Why do Some of my Shipping Labels List the Addressee's Name Twice? 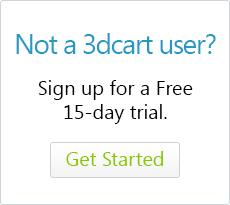 When using 3dcart’s built-in Shipping Label Manager, you may have noticed that sometimes the label is printed with the recipient’s name listed twice. The label will first say "Deliver to [Customer Name]" followed by the customer's name again. The reason for this is usually because the shopper – when completing their order – did not list a “Company Name” on the order itself. 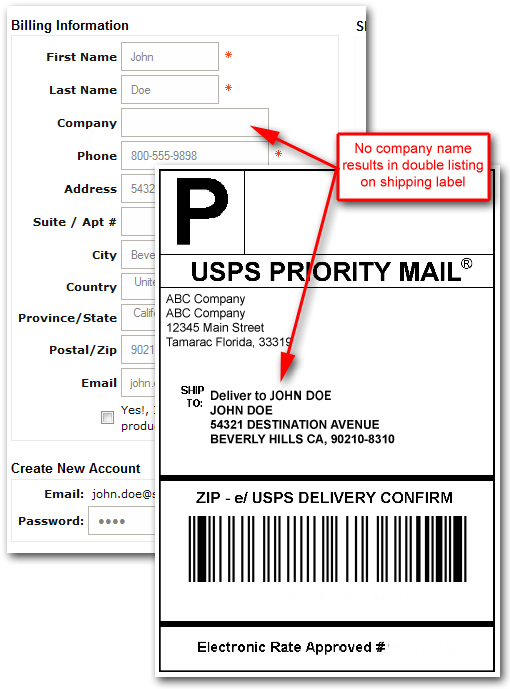 Some carriers require that the destination address contain both a name and a company name in order to create a qualifying label for that destination. However, if the shopper does not supply this information on the order, then the store’s software will simply list their First and Last name in that section twice as shown below. This is done to ensure the label is created and accepted without any problems.